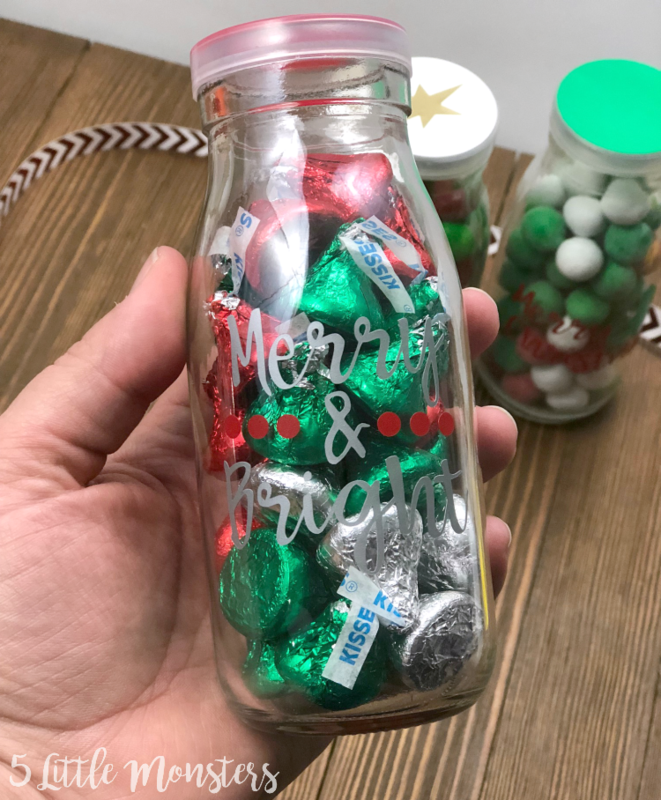 In this case I came across some little glass milk bottles I had filled with candy for Valentine's Day. I still had several bottles left over from that project (I think they came in a box of 12). I thought, why not do the same thing but for Christmas? 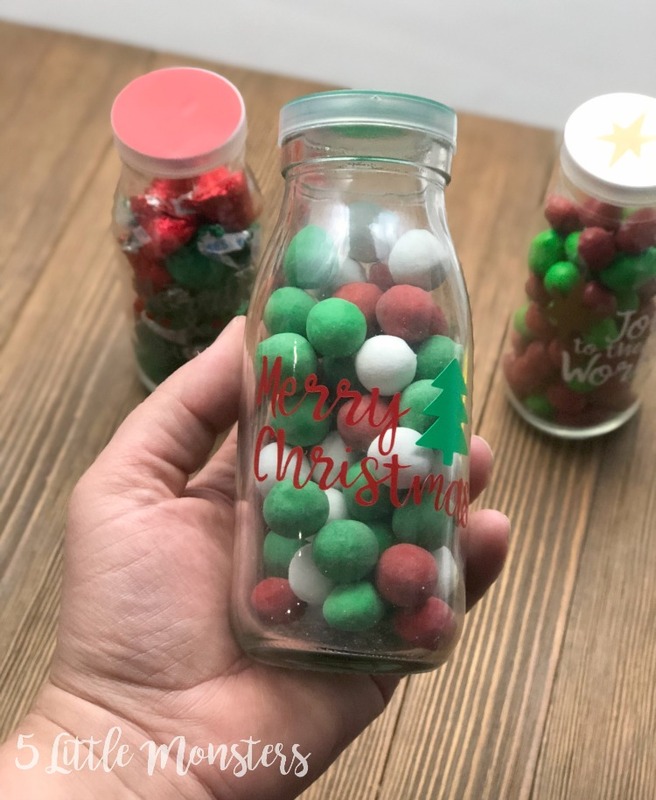 So I bought a few different bags of Christmas candies that I thought would look cute in glass jars and filled up the bottles. 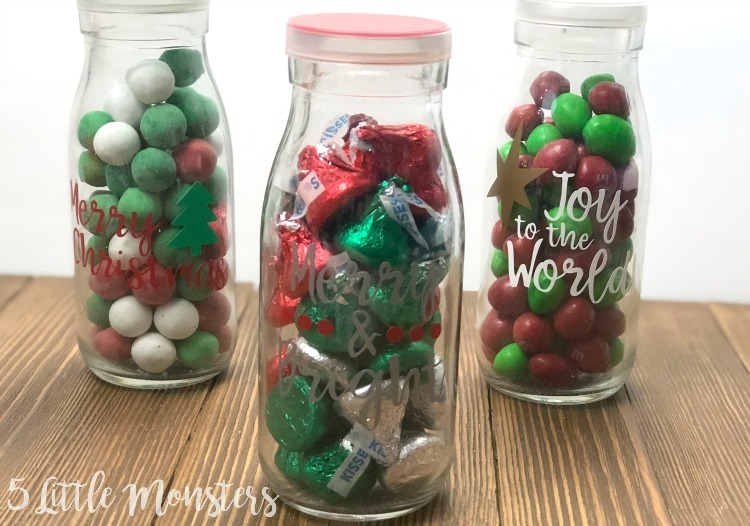 I chose M&M's, Cadbury Chocolate Balls, and Hershey's Kisses. 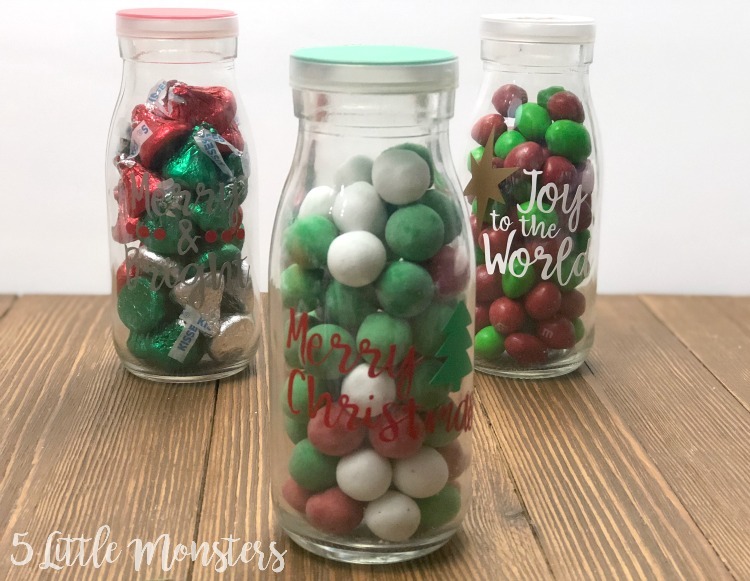 You could use any smallish candy that would fit well in the jar, and I wanted some that would look Christmasy too, so I chose candies that were red and green. Then I created a few small designs that I could cut out of vinyl and stick on the front of the bottles. I also added a circle of vinyl to the lids to add a little bit more color. 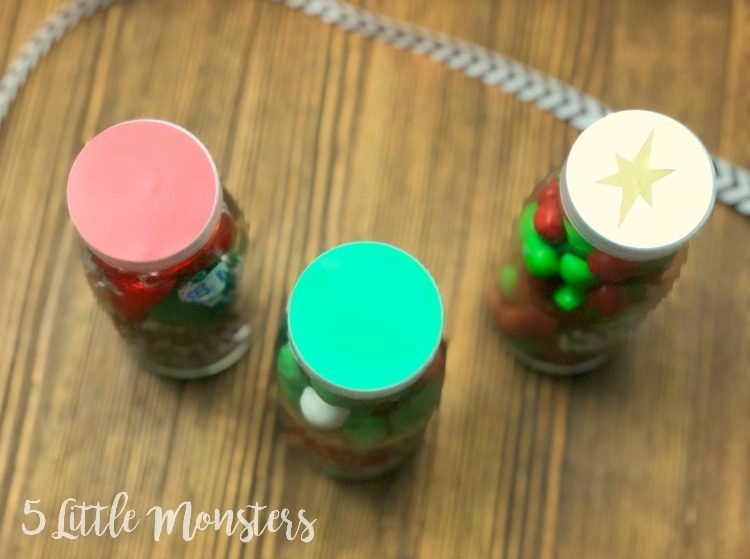 Merry Christmas, with a little Christmas tree, and a green lid. 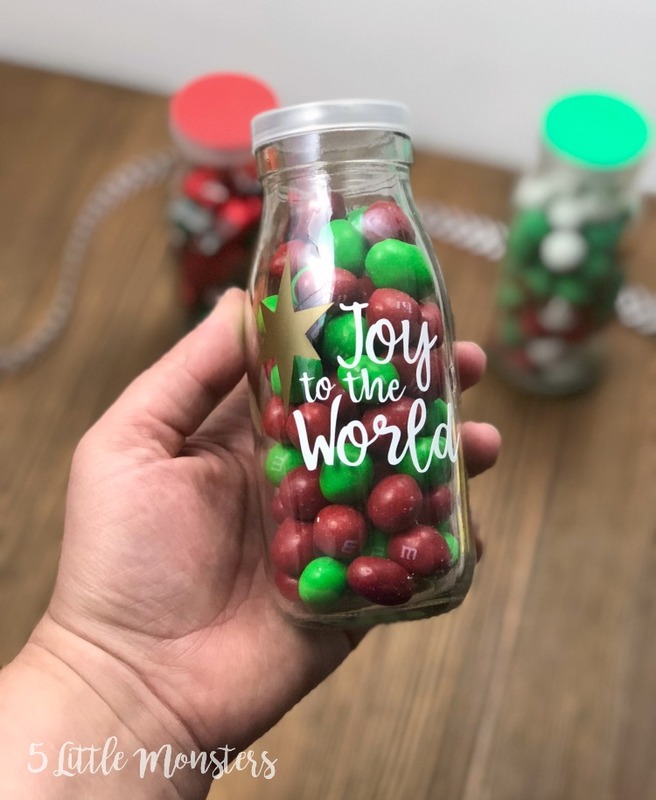 Joy to the World, with a gold star, and a white lid with a gold star there as well. And, Merry & Bright with some red accents and a red lid. 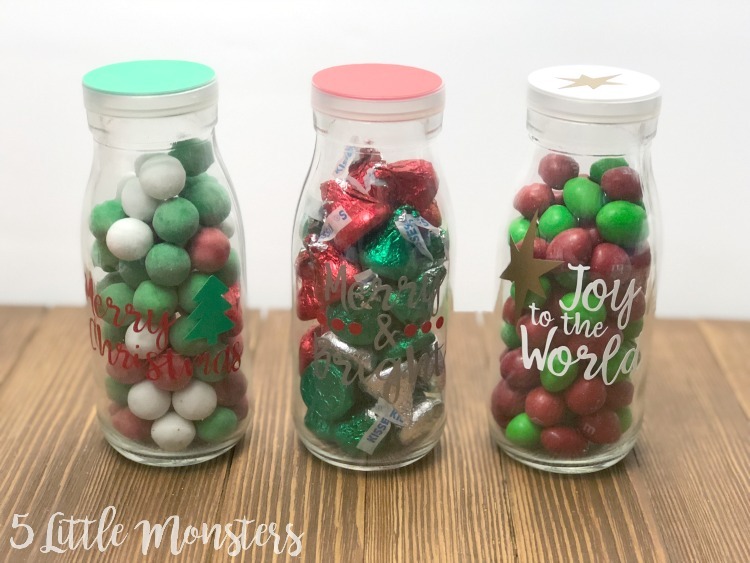 Open the Christmas Candy Jar file in Design Space. Cut the images out of vinyl and weed. 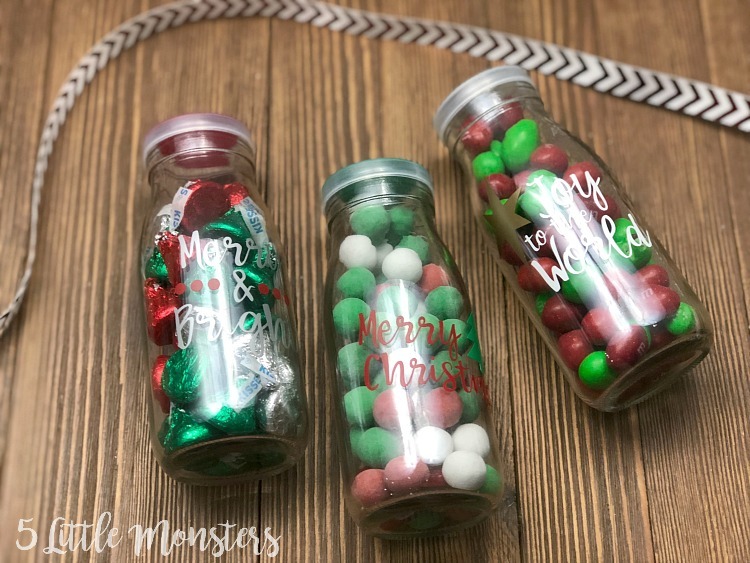 Use transfer tape to put the designs on the front of the bottles. 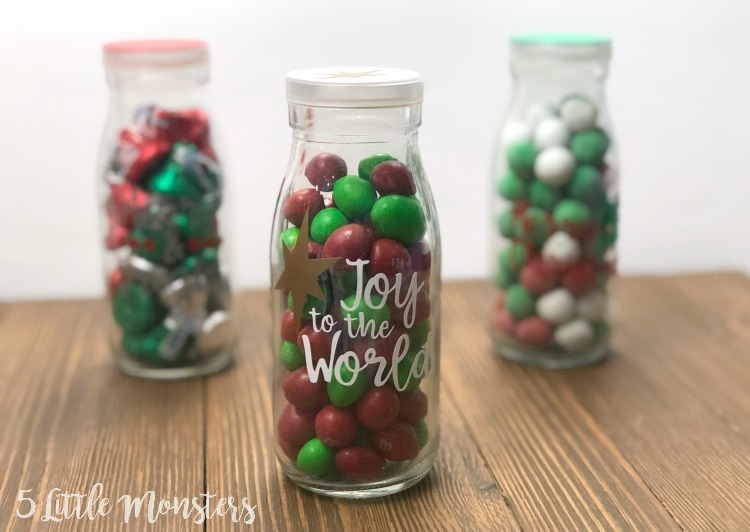 Add the circles to the tops of the lids. 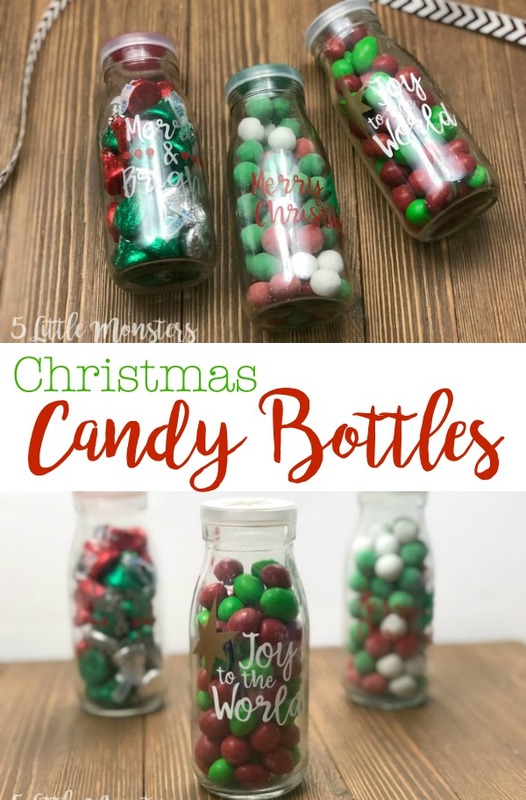 Fill the bottles with candy.